A city filled with rich culture, expansive entertainment and vibrant nightlife. These are the best places to check out in the Lou. Hello, and welcome to The Meltdown STL! Writing your first post is always a little odd. It’s like being a transplant in a new area, introducing yourself and seeking out friends among an audience who hasn’t seen or heard of you before. This hypothetical scenario is like stepping into a venue for the first time. It’s a little scary; you haven’t quite gotten the layout for the building, yet, and everything it entails. But as intimidating as it can be, it’s also exciting. Here at The Meltdown STL, we’re a group of St. Louis natives who want to shine a spotlight on our city’s rich culture, expansive entertainment scene and vibrant nightlife. 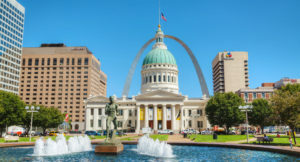 The Meltdown STL showcases the best St. Louis has to offer in restaurants, shopping, pubs, lounges, hangout hubs and more. Best yet, you’re invited to join us on this excursion throughout the Gateway to the West and its many regions of food, new friends and fun. Thanks for stopping by, and look forward to more posts soon!